A classic EMT 140 Plate Reverb in hardware form. The reverb plate was the first really serious artificial reverberation technology, and was adopted by numerous studios before the advent of affordable digital reverb. The main functional component is a large metal plate within a soundproof box (see header photo), which is vibrated by an output driver much like that in a loudspeaker (above centre). The vibrations are then picked up by a separate transducer (above) for each output channel. The sound of this type of reverb became so popular that it is still emulated by digital reverb units and plug-ins such as Universal Audio's Plate 140 (below). Artificial reverb is an integral part of music production, as it puts back the sense of space and place that's removed by close-miking voices and instruments in an acoustically dead studio. In the real world, reverb is created by sounds reflecting and re-reflecting from surfaces in an enclosed or partially enclosed space, and the resulting pattern of sound is infinitely complex. The geometry of the space and the materials from which it is made affect both the pattern and intensity of the reflections, and the rate at which different frequencies decay. Our brains derive information from these audio characteristics, enabling us to learn something about the nature of the space without necessarily seeing it. In music production, this means that the reverb type and its settings need to be chosen carefully if the human hearing system is to accept it as natural — or at least believable. In the early days of recording, there was no artificial reverb, so the effect was created by placing microphones and loudspeakers in a reflective room such as a tiled basement. Rockfield Studio in Wales even had a room made with suspended glass plates to create a variable reverberant environment. The different rooms built by different studios were often instrumental in how popular the studio turned out to be, but most of these rooms became obsolete when artificial reverb was invented. Probably the first successful artificial reverb device was the spring, though all kinds of weird and wonderful devices were created, including coiled pipes with a speaker at one end and a mic at the other. Apparently the first spring reverb was developed by accident after a couple of sound engineers experimented by dangling a coiled spring from a gramophone pickup cartridge, shaking it to create thunder effects for radio. By fitting a transducer to the other end of the spring, they found that sounds passed along the spring were picked up with a kind of reverb added, and so the spring reverb was born. Springs are still used in guitar amplifiers, and they have such a distinctive sound that modern digital reverb units often include spring emulations. While the spring worked well enough on vocals, guitars, and electronic organs, it wasn't so good on percussive sounds, as it had a tendency to 'twang' — the sound fluttered and pulsed as the reflections bounced back and forth along the length of the spring. You can get an idea of what spring reverb sounded like on vocals by trying one of those toy microphones with a spring and a diaphragm inside. (In fact some people have used these for recording in various ways!) All kinds of tricks were tried to improve the quality of spring reverb — immersing the spring in oil, using multiple springs with different characteristics, using heavy limiting on the input signal and extensive EQ — but it wasn't until the reverb plate was developed that artificial reverb really got serious. As its name suggests, the plate reverb utilised a thin metal plate, which could be as large as one metre square or more, suspended in a soundproof box and driven into vibration by means of a transducer similar to the voice-coil assembly of a loudspeaker. This arrangement was fed from a mixer aux send, via a suitable amplifier to drive the plate. Pickups mounted on the surface of the plate picked up the vibrations and fed them to a preamplifier, and the signal was then fed back to the mixer's aux returns. Normally two pickups, mounted at different positions on the plate's surface, were used to give a pseudo-stereo output from a mono input. 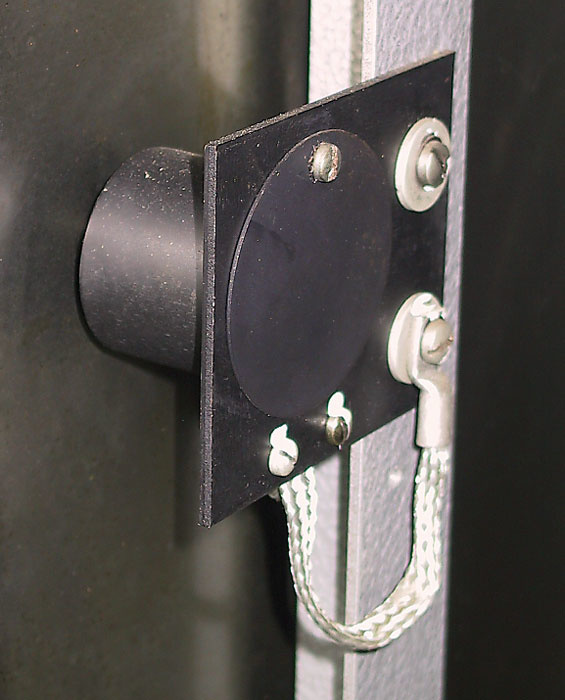 The way the plate works is that sound energy from the input transducer moves very quickly from the transducer near the centre of the plate to the edges of the plate, where it bounces back. These reflections in turn encounter other plate edges and continue to re-reflect, losing energy but gaining complexity. Because the plate is rectangular and the sound waves propagate in a circular manner, even the first wave of reflections is very complex, as the expanding wavefront will encounter different parts of the edge of the plate at different times. The early part of real-life reverberation in larger spaces comprises a number of discrete reflections that are clearly audible before the dense reverb tail builds up. However, a reverb plate produces a very dense sound very quickly, and has no discernable early reflections. Because early reflections are fundamental in conveying a sense of room type to the listener, the plate is somewhat devoid of spatial character insomuch as it doesn't suggest any particular type of acoustic space, but in a musical context this can be an advantage, as we often use reverb as a musical effect, and not to create the illusion of a specific type of room or hall. Photo: Mark Ewing Before digital delays became widespread, a common way of implementing delay was using tape loops. One of the most popular tape delays was the Roland RE201 Space Echo, which held a long tape loop in a bin just beneath its lid, as shown in the black and white picture. 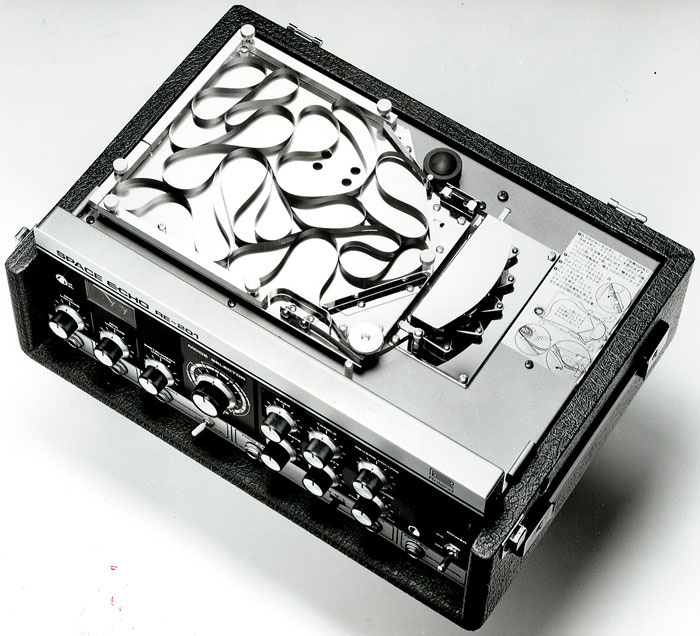 The unit also included spring-based reverb which could be combined with the outputs of the machine's various tape heads. Tape delay remains popular, but is most likely to be encountered in digitally modelled form in plug-ins such as Universal Audio's new RE201 recreation (above).Photo: Mark EwingWhile the plate has no real spatial character, it certainly has a recognisable tonal character and can tend to sound rather metallic, so EQ often needs to be used to improve the end result. The decay time of a plate is also fixed, unless some form of mechanical damping is applied, so the better plates were fitted with remote-control fabric pads that could be brought into contact with the plate to reduce the decay time. Undamped, the reverb time could be as long as five seconds or more, which is too long for most routine applications. Early spring or plate reverbs were also often used in conjunction with tape delay to help create a sense of space and size. As springs and plates generate no early reflections in the true sense of the word, adding one strong psychoacoustic cue using delay helps create a false sense of spatial identity. In a real room, this would equate to how long the sound takes to reach the first surface and then bounce back to the listener. The longer the pre-delay, the larger the space feels. Modern digital reverbs do the same by offering adjustable pre-delay times. For example, a typical vocal reverb treatment might comprise a plate reverb emulation with a decay time of 1.2 seconds or so and a pre-delay of 60-80ms. While plates are no longer commonplace, there are some extremely good digital simulations of the plate, such as the Universal Audio Plate 140 plug-in for the UAD1 card, and special algorithms need to be created to reproduce the rapid build-up of density that occurs in a real plate. These plate effects work particularly well on vocals, and would have been used on virtually all the classic records in the '60s and '70s. 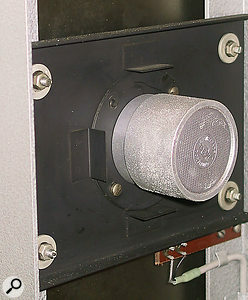 Multi-head-tape or magnetic-disc echo devices were also often used to create pseudo reverb, sometimes in conjunction with spring reverbs, but used alone these devices were unable to create the necessary density of repeats to emulate the real thing. Instead, the echo machine became an effect in its own right. Digital reverb became a commercial reality with the EMT 250 in 1976, and early digital reverbs attempted to approximate what goes on in a real room by first using a multitap digital delay line to recreate those tightly spaced early reflections. The delay times would often be adjusted empirically to produce a pleasing result, rather than being a direct emulation of any particular space, and the amplitude of each tap was also adjusted to produce a natural result. Just 20 or 30 delay taps might be enough to approximate the early reflections, and by choosing different patterns and wider or narrower spacings the impression of various sizes of room or hall could be created. 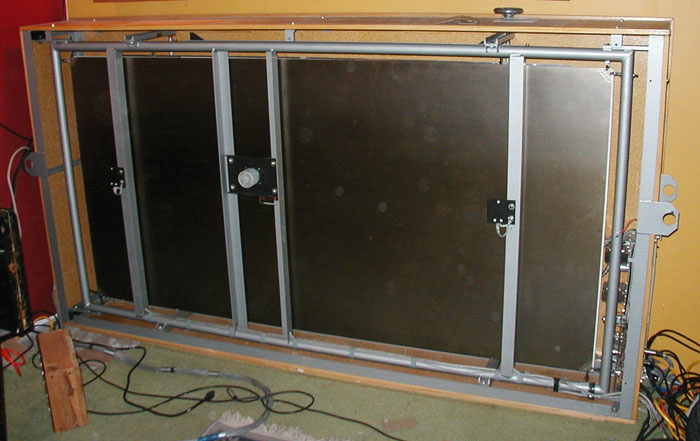 Photo: Mark Ewing Two classic early digital reverb units which are still in use today: the Klark Teknik DN780 (above) and the Quantec Room Simulator (below).Photo: Mark EwingAs a rule, a wider early-reflection spacing is interpreted by the brain as a larger space. In order to reproduce the build-up in complexity in the decaying reverb tail, multiple re-circulating filters (usually a mixture of comb filters and all-pass filters) were used, sometimes fed from the original input, sometimes from the outputs of the tapped delay line, depending on the designer. In either case, these re-circulating filters had to be carefully tuned so that the reverb didn't ring excessively at specific frequencies, and they also included EQ-like elements to damp the high end in a way that replicated the behaviour of a real space. Everyone had their own method of designing reverb algorithms, which is why the products from different manufacturers had, and still have, very different characters. Some of the most sought-after reverb devices didn't sound particularly natural, but happened to be musically flattering. While digital synthetic reverbs of this type rarely sound exactly like the rooms they purport to emulate, their sound has become part of popular musical culture. 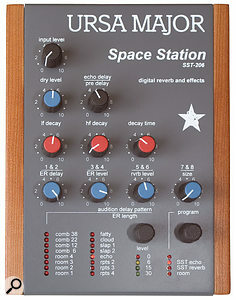 The most famous of the digital reverb manufacturers is probably Lexicon, who have defined the reverb sound of pop music over the past two decades, though there were numerous other early digital reverb devices such as Quantec's Room Simulator, the Ursa Major Space Station, the classic AMS RMX16, and Klark Teknik's DN780. Digital reverbs are often brighter and more sparkly than anything you come across in real life, but they work perfectly in a musical context. In fact, they work so well that, when sampling or convolution reverb made it possible to 'copy' reverb from actual spaces, many people found that it didn't sound exciting enough for pop music, so turned the process to sampling pieces of reverb hardware. Perhaps the most important aspect of a good synthetic reverb is the way that it seems to become part of the original sound, rather than seeming to be an effect layered on top — which of course in reality it is! With the better units, adding more reverb increases the sense of space, but doesn't swamp the original sound and doesn't make your mix sound congested. Cheaper reverbs may sound OK in isolation, but can end up making your mix sound messy and cluttered when you try to use them on a real project. This has little to do with technical specifications — it is all down to how the reverb algorithms are designed. Back in the '80s when I first asked manufacturers whether it would ever be possible to sample the reverb character of a real space, the response I always got was that there would never be enough computing power available. However, computing power has continued to follow Moore's Law and today we have computers that would have been inconceivable back then. In the mid-'70s I was working for a company that hot-rodded Commodore PET computers by expanding the stock 1K memory to 8K, but now 8GB of memory is a practical option. In other words, in only 30 years or so the amount of memory you can fit into a typical desktop computer has expanded by around one million times, and clock speeds are now so high you could cook frozen chicken with them! The Atari ST, on which so many of us started, had a clock speed of just 8MHz, whereas some of today's machines run at over 3GHz. Photo: Mark Ewing Photo: Mark Ewing Another successful early digital reverb unit was the Ursa Major SST282 Space Station. 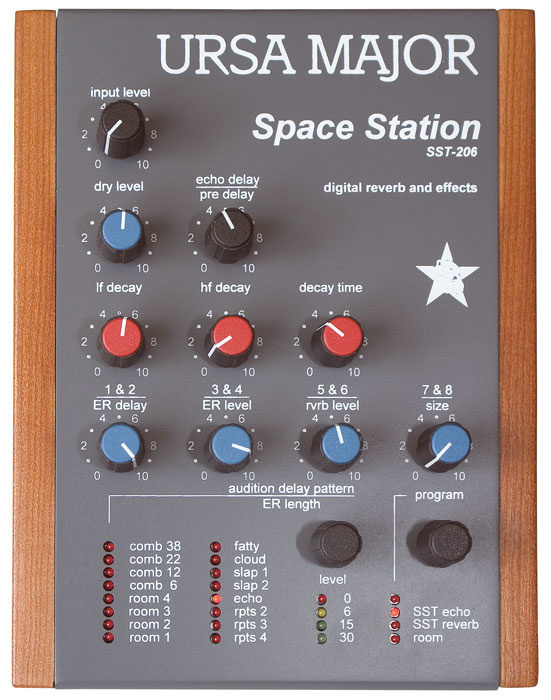 Although the original hardware unit (top) is still in use in some studios, most home-studio owners are most likely to come into contact with the Space Station's distinctive sound via the smaller Seven Woods Audio SST206 Space Station (centre) or Princeton Digital's TDM plug-in recreation (bottom).Now, of course, convolution has become a reality, and can run on just about any well-specified Mac or PC, as well as in dedicated hardware effects units. Convolution is essentially a brute-force, number-crunching means of producing reverb (or other linear delay-based treatments) which is brilliant in its simplicity. It starts with the premise that you can measure the reverb character of a room by putting up a stereo mic at the listening position, then recording the reverb created from a single spike of sound one sample in length — a starting pistol or a balloon burst gets close to this. The resulting sound picked up by each microphone is called an 'impulse response' and it can be recorded conventionally. If you then use a computer to multiply this impulse response by every sample of new audio signal, the net result is that you add the original room's reverb to that audio signal. Nowadays, instead of trying to create a loud sound one sample in length (which isn't very easy), impulse responses tend to be recorded using a sine wave swept over the whole audio frequency range over a period of a few seconds. A mathematical process is then used to time-compress the resulting data so that it equates to what you would have got had you used a single-sample pulse. The advantage is that it's easier to reproduce a suitable signal level for measurement, and because the measurement is integrated over a few seconds it tends to be less susceptible to corruption by low levels of background noise in the room being sampled. Integrating multiple impulse-response recordings from the same source can further reduce the noise floor. Of course, to get a good measurement you need very accurate microphones and speakers, and to do a comprehensive job you may need to take different measurements at different places in the room so as to give the user a choice of reverb characteristics. Fortunately, commercial convolution reverbs come with a wide range of presets based on specific venues, and many third-party impulse responses are available on the Internet, some for sale and some free. To capture the sonic signature of an electronic reverb unit, the same test signal can be fed through it and then mathematically processed to produce an impulse response, enabling that particular hardware setting to be recreated with almost perfect precision within a convolution reverb system. The limitations of convolution are that the amount of editing you can do to the reverb character is restricted, and also that the process is unable to capture time-varying effects such as chorus modulation. Some hardware reverbs use modulation within their algorithms, and so are impossible to 'sample' exactly using convolution, though the general characteristics of tape delay (other than wow and flutter of course) and most hardware reverb patches can be captured with great accuracy. The choice of which reverb to use is invariably an artistic one, though convolution-based concert halls are a good choice for classical music, while churches and cathedrals will obviously suit choral or organ music. I've also found that convolution reverbs can work well on folk or jazz music, where you expect to hear the music performed in a specific type of environment such as a club, but sometimes one of the library impulse responses will surprise you and work in a way that you would never have expected. For example, Apple Logic Pro 7 's Space Designer convolution reverb plug-in has some impulse responses in its library made in dense woodland, and some of these sound wonderful on acoustic guitar and vocals. Impulse responses taken in bright reflective spaces or top-notch studio drum rooms often work well for drums and percussion, but whether 'real' or synthetic treatments are best ultimately comes down to artistic choice. The most famous of the digital reverb manufacturers is probably Lexicon, who defined the pop reverb sound of the day with their 224 model.Photo: Mark EwingBecause we tend to be conditioned by the music we grew up with, synthetic digital reverb and plate reverb (either real, modelled, or convolution sampled) are still the first choices for most pop work, but fashions are always changing in music, so this situation could change. When it comes to pop vocals, I almost always end up going back to a synthetic reverb, either algorithmically generated or 'sampled' from a hardware unit that works this way. Having said that, the UAD1 Plate 140 has such a gloriously authentic sound that I often find myself using that on vocals too. The original plates may have been low-tech, but the good ones sounded fantastic and have a very different character to most algorithmic reverbs. You get all the sparkle and density needed to create a very flattering vocal, but without the sound emulating any obvious room or hall type. An interesting development is the system used by Wizoo's W2 plug-in, where you can set up a convolution reverb, then get their engine to emulate it as closely as possible using algorithmically synthesized reverb. This allows more flexible editing and takes less processing power. Another approach taken by some manufacturers to minimise processing load is to use convolution for the first part of the reverb, and then to synthesize the more dense tail of the reverb. As most of the character of a room is conveyed by the early reflections, this hybrid approach can work very well. The most realistic artificial reverberation is now created through convolution technology, but this requires so much DSP power that it only became a practical reality for real-time processing in 1999 with the Sony DRE-S777.Photo: Mark EwingWe've never had so much choice when it comes to high-quality reverberation, so the challenge is twofold; not only do we have to decide which type of reverb to use, but we also have to avoid getting sidetracked into trying out every one of the hundreds of presets and room samples that modern products so often come with! In my view, synthetic reverbs (or convolution samples of synthetic reverbs), with their larger-than-life sound, are still the first choice for pop vocals, though the choice of decay time is harder to pin down, as it can vary from around two seconds for some ballads to less than one second where you're after a tight, intimate sound. Furthermore, on those reverb devices that let you adjust the level of the early reflections and reverb tail separately, you have the option of using stronger early reflections to create density and space with less reverb tail, which helps avoid clutter. As a rule, modern productions tend to use far less obvious reverb treatments than records made up to the early 1990s, so it really helps to put on some records and do some analytical listening to see what reverbs have been chosen and how heavily they've been applied. It's probably fair to say that choosing an appropriate vocal reverb is more important than any other reverb application. One factor always to keep in mind when mixing is that a heavy application of reverb tends to make a sound appear to be more distant, and that's often at odds with the concept of a lead vocal that you want to keep upfront. Shorter, brighter reverbs feel closer, while warmer, longer reverbs push sounds to the back. If you need more obvious reverb on a lead vocal, then keeping it bright and adding some pre-delay is one way to prevent the sound being pushed too far back. The leaps in computer processing power during the last few years mean that reverb convolution processing has become increasingly available in the form of plug-ins such as Audio Ease Altiverb.Today's drum sounds are drier and tighter than the roomy sounds of the '70s and '80s, so convolution presets based on studio drum rooms, or synthetic ambience programs that focus on early reflections, tend to be very effective in producing the desired sound and sense of space without the result getting messy. For a more traditional rock drum sound, though, a synthesized reverb plate still sounds fantastic. Guitars and synths can make use of whatever suits artistically, though springs and plates are still very popular. The only word of warning here is that many synth patches come with lots of reverb to make them sound impressive for in-store demos, but in a mix you may find you need to back off the reverb a bit. If you're into dance music, you may notice that very heavy reverb is used on some synth parts, but it is still used with care, not indiscriminately. It's also often the case that less is more, so using reverb sparingly can result in a product that's artistically better than where reverb is overused. Ultimately, the correct choice of reverb type and its application is an art which rates alongside setting level and pan settings as a major part of mixing. Knowing what is available helps, but you also need to develop your listening skills so that you can hear how the better commercial records were produced and how the use of reverb figures in those productions. Thanks to FX Rentals (+44 (0)20 8746 2121) and Klark Teknik (+44 (0)1562 741515) for supplying the Klark Teknik DN780, Quantec Room Simulator, Lexicon 224, and Ursa Major SST282 Space Station digital reverbs pictured in this article. These units can be rented from FX Rentals for around £35, £88, £35, and £59 respectively per day including VAT. Thanks also to Jim Kenniff at K-Sound Studios (+1 717 872 8509) and to Janet and Phil at Bova Sound (+1 613 228 0449) for the pictures of their EMT 140 plate reverbs.